A fantastic challenge awaits you over the most stunning course. You can take on the challenge as a team or individual. The swim will be either an open rectangle course from the beach or an open triangle from the boat ramp depending on sea conditions. Given the time of the year it is strongly advised that wetsuits are worn. From the Scarborough Domain you will zig zag through Sumner before heading up Evans Pass. The total elevation gained on the bike leg is 500m. At the top of Evans Pass turn right along the Summit Rd to just past the top of Mt Pleasant Rd to a turn point. 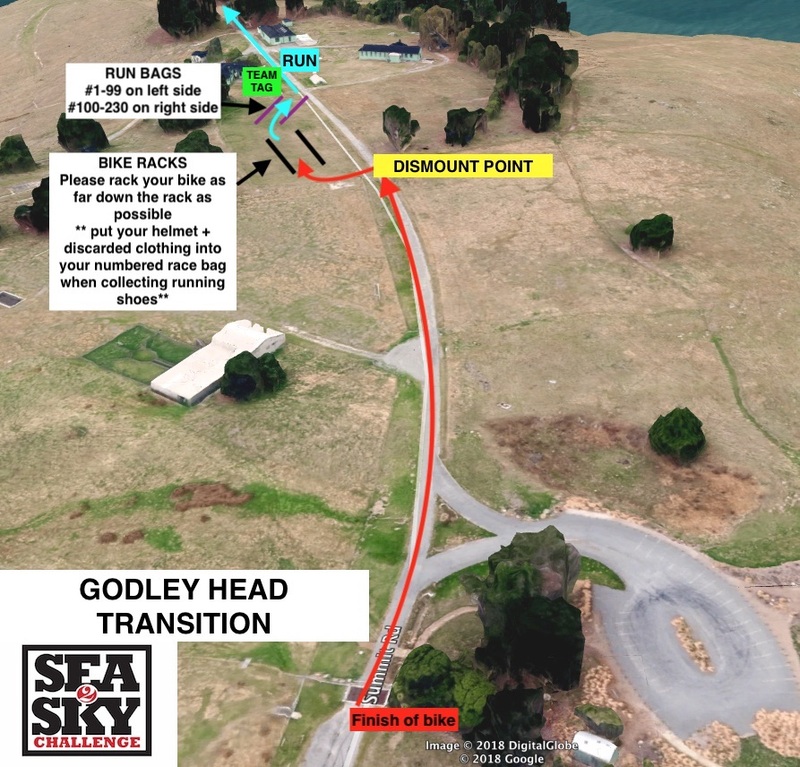 After making your turn proceed back down the Summit Rd to Evans Pass then all the way out to Godley Head for the 2nd transition. Note there will be a MANDATORY STOP/GO point at the top of Evans Pass where you must stop, check there are no athletes or vehicles coming through the intersection then proceed. Failure to stop will result in a disqualification. Bikes will be transported for you back to transition post race (we will be very careful with all bikes!). This is included in the race entry fee. You can elect to collect your own bike if you prefer. You will place your run shoes in a numbered bag that you hand in at the registration the day before the event. Your shoes will be lined up numerically at the 2nd transition waiting for your arrival. The run heads out to the gun emplacements leading onto the Godley Head Track which takes you all the way to Taylors Mistake. You will run along the beach then join the Taylors Mistake track. As you climb along the track will encounter some steps and steep pitches on this narrow track. The track exits across the road from Nicholson Park. Cross the road and enter Nicholson park, follow track down the hill to Whitewash Head Rd where you turn left. At the bottom of Whitewash Head Rd going the footpath running towards the promenade. After joining the promenade run past the finish line ~50m, turn and run back down the finish chute. Scarborough beach does have some waves but it is usually fine for swimming. 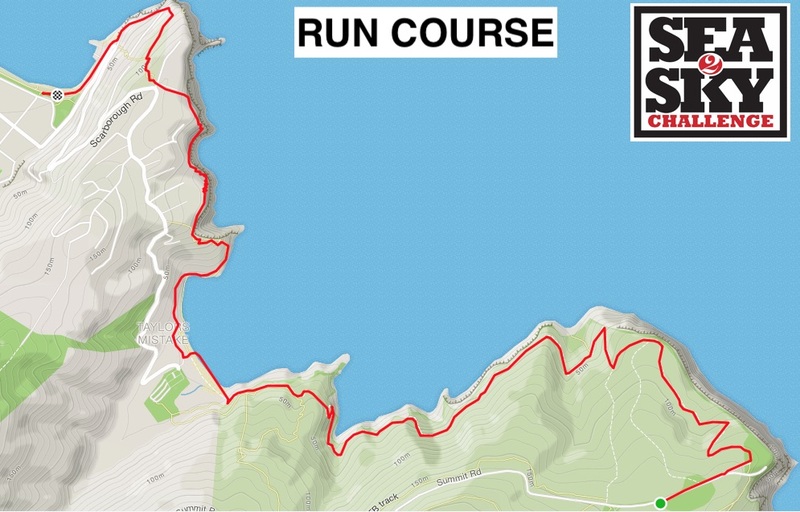 In the event that there is large surf there will be the option to switch to the run/bike/run option. If the conditions are deemed unsafe the swim will be cancelled and replaced with a 2km run.